A 1948 murder committed in Georgia’s Coweta County was controversial not only for its middle-of-the-night mystery, but also for the role played by prominent businessman John Wallace. 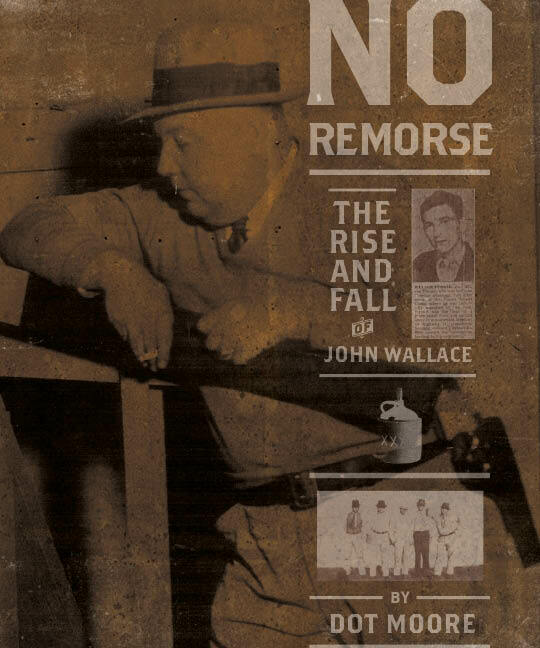 In No Remorse: The Rise and Fall of the Killer John Wallace, bestselling nonfiction author Dot Moore explores not only that fateful night, but also the events that brought John Wallace to that point—the death of his father when Wallace was only eleven years old, and his early exposure to the making and selling of moonshine whiskey. Moonshine would later play a part in the murder for which Georgia sent Wallace to the electric chair. Moore includes actual letters to and from Wallace, as well as copious historical images, to give a full picture of the Georgia figure. With a cast of characters that includes fortune-teller Mahaley Lancaster, subject of Moore's well-known biography, Oracle of the Ages, No Remorse is a Southern true crime biography like no other.